The origins of the Kumbh Mela are lost in time. The religious festival brings tens of millions of pilgrims to the Ganga, Yamuna, and Saraswati rivers once every twelve years. Though first documented by a seventh-century Chinese monk, the festival itself may be much older. Appearing out of nowhere at the confluence of the three rivers as they recede, the Kumbh Mela festival disappears a short time later when rising waters return. 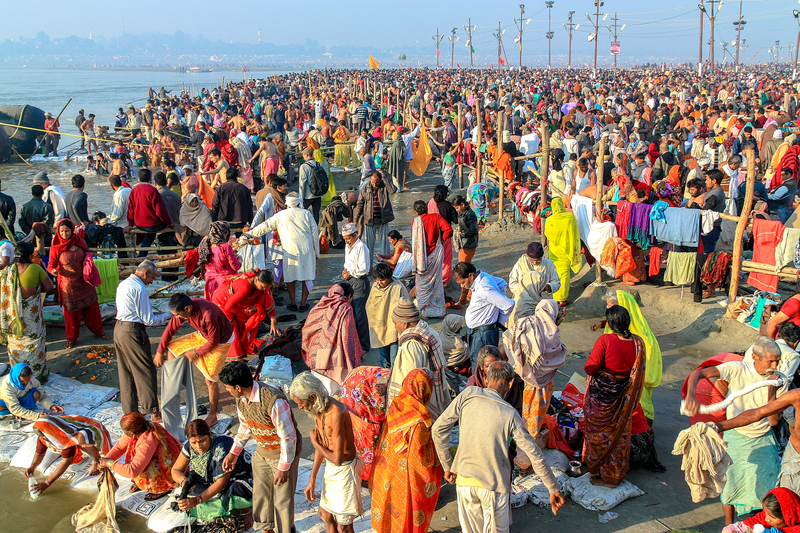 According to GSD Professor Rahul Mehrotra, “The Kumbh Mela is actually a mega-city. Seven million people live there for 55 days, so what would we gain if we looked at this as a city and not a festival?” The project sought to map this “pop-up” mega-city in terms not just of geography, but of governance, infrastructure, health, and economy as well. 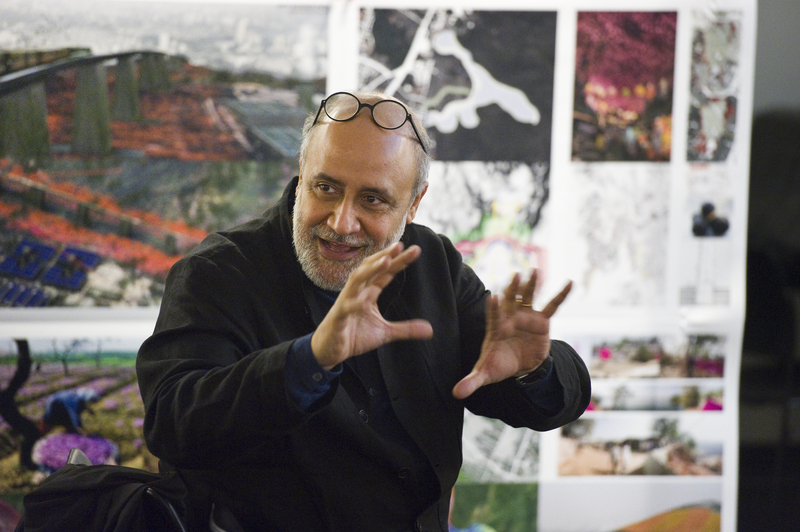 Video: Mehrotra shares his design thinking and research on extreme urbanism in the 21st century. 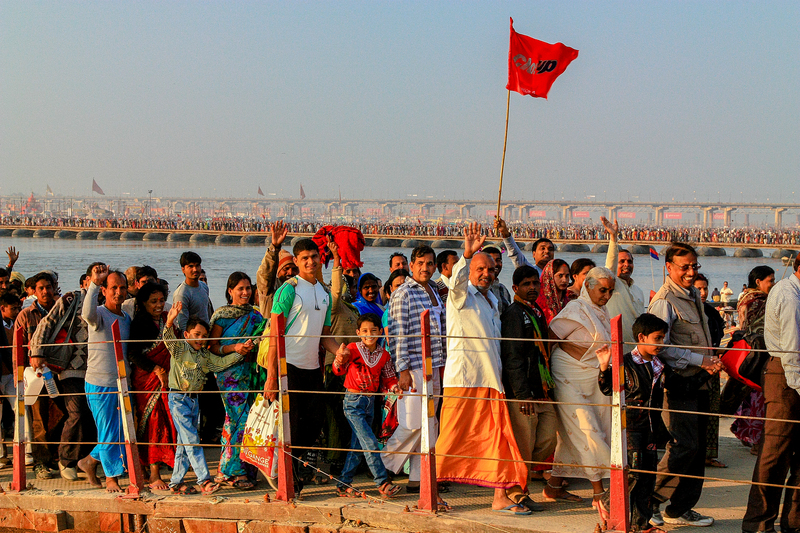 Previous journalistic work on the Kumbh had focused on the religious spectacle; academic studies were scarce and narrowly focused. Mehrotra mobilized an interdisciplinary team of almost 50 professors and students—including faculty from Harvard’s Business School, Divinity School, and School of Public Health—to study what is easily the largest public gathering on earth. Work like Mehrotra’s helps bring about meaningful change, both today and in the future. The data gathered at the Kumbh Mela, and its ongoing analysis, will have profound implications for everything from telecommunications infrastructure in the developing world, to the design of refugee camps for the victims of war and natural disaster. Through cross-cultural collaboration, the GSD’s interdisciplinary research, pedagogy, and practice continues to impact not only the built environment, but the larger world beyond. Help us deliver important resources to GSD faculty and their innovative research programs, so that the School can continue to plan for cities and communities of the future.